We understand that you have Supply Chain challenges, and the impact it has on your business. Some of these challenges might look like they are unique to your business. Some you may suspect are fairly common. That’s where our experienced Supply Chain Consultants can help. In business today you often don’t have the luxury of time to sit back and review your options in detail. And sometimes your Supply Chain staff just don’t have the right knowledge or experience. We get that. Many of the challenges we assist our clients with are ‘once in a lifetime’ experiences. So you or your team might get to face it once, whereas we face them every day. And that gives us the knowledge and experience to help you on your way to improved Supply Chain and Business performance. Bottom line focus is what we aim for, on all client assignments. Delivering real sustainable Supply Chain and broader business benefits. This approach to our Supply Chain improvement assignments and our engagement with your senior management team always drives beneficial outcomes for your investment with us. In fact I guarantee it! As an example, having conducted over 1,400 client consulting assignments, in 23 countries since 1997, the average benefit delivered was in excess of $1.67 million. And we perform with an average payback of well under 6 months. Over the years I’ve found six common areas of the Supply Chain that always seem to offer great opportunities for cost savings and service improvement. You can read more about these and others in our consulting services pages and on our extensive supply chain blog that is packed with tips and insights. Supply Chain Strategy – getting one in place! 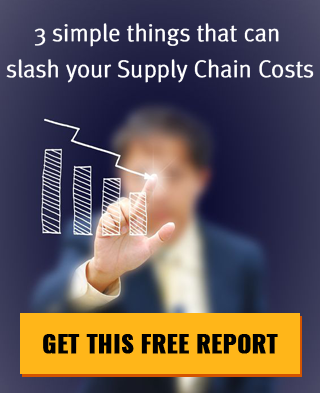 Supply Chain Network – aligning it to speed flow and reduce costs. Warehouse Layouts and Processes – for greater efficiency. Of course there are many other areas of potential improvement, and we have worked with hundreds of organisations over the years on all elements of their Supply Chain, but these six come up over and over again. Our extensive range of Supply Chain Consulting services ensure that whatever your specific Supply Chain or Logistics issue, we have the consultants, experience, track record and capability to help you. Our Supply Chain Consulting services cover every facet of your Supply Chain from sourcing to customer delivery. Underpinning your successful assignment outcome, is years of experience in similar businesses and industries, with organisations that have faced and resolved the same Supply Chain and broader business challenges. So as you would expect, we’ve developed sound approaches to drive outstanding client outcomes. We also have a good idea of what works, and what doesn’t! We look forward to discussing your specific Supply Chain challenges and needs. Feel free to contact me directly at with any questions you have. Having worked in the field of Supply Chain since 1975! And in Supply Chain Consulting since 1994, I can honestly say that for most organisations their Supply Chain still offers enormous opportunity for cost reduction, service improvement and ultimately of course, improved return to shareholders / stakeholders. If you haven’t taken a good hard look a your Supply Chain in recent years, or your organisation has undergone significant change, I can say with a high degree of certainty that you will have some significant opportunities for improvement. It’s fair to say that in most organisations, the operational management team don’t have the luxury of time or resources to undertake regular reviews of performance and cost, let alone external Benchmarking to determine current performance gaps. That’s where leading Supply Chain Consultants like the team at Logistics Bureau can really add value by not only identifying those performance gaps and opportunities, but quantifying the benefit, prioritising action plans and assisting in benefit realisation. Where projects are focussed on cost reduction… I am happy to guarantee that once you implement the improvements we develop specifically for your organisation, that you’ll get a payback on your investment with Logistics Bureau in 6 months or less. Where projects are NOT focussed on cost reduction, in the unlikely event that you are not satisfied with our work, I ask you to merely pay us what you think the work was worth to you. Yes, Supply Chain Consultants that actually guarantee results! We know what the most common issues are. We have thorough diagnostic tools to identify and quantify those issues. And, we can quickly develop tailored solutions to close performance gaps and reap the rewards for our clients. And have probably written even written a book on it! So if you have any concerns about your Supply Chain, it’s worth a no obligation talk to our Supply Chain Consultants. In fact contact me directly. Every day I spend time discussing Supply Chain issues with people seeking improvement. I’d be more than happy to hear about your organisation’s Supply Chain challenges and let you know if we can help you or not. It’s rare that we can’t. But if we can’t I’ll tell you and try to recommend another source of help that will suit your specific needs.